Cool, crisp and contemporary are just a few words that have been used to describe the design form of Precept. 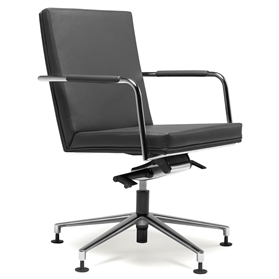 It is practical and has a memory return mechanism for use in boardroom settings. Chrome tilt mechanism.